This custom shovelhead was originally a low rider. I have owned her for 18 years and made her my very own. 5 in a 4 speed case trans, The motor pumps 80 Horse with 93 ft. pounds of torque. I'm running an E5S evo Lineweber cam, with plenty of other goodies. 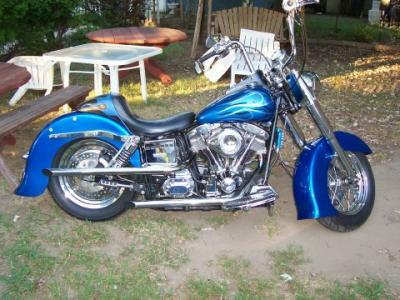 what a beautiful bike bro.growing up my dad had this same 1980 factory lowrider shovel i honestly believe they are some of the best harleys made.